The Redlands City Council appointed Nelda Stuck and Liz Beguelin January 18, 2000, to form a committee to study the feasibility of an historical museum in Redlands. The 13-member committee appointed by the two women began meeting in March 2000. Previous to the first committee meeting, Nelda and Liz met separately with Bill Hardy Jr., president of the A.K. Smiley Public Library Board of Trustees, and library director Dr. Larry Burgess to discuss the possibilities for the museum. Subsequently, the City Council directed that the museum would operate under the library’s jurisdiction much as the Redlands Lincoln Memorial Shrine operates today. 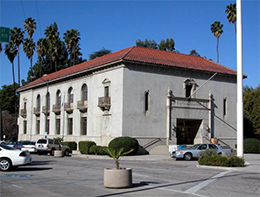 The museum board concluded that Old City Hall was the perfect structure and location for the museum, and the Redlands City Council unanimously approved that request on May 2, 2000. The RHMA elected officers, opened a P.O. box and began work on its legal status: by-laws, a mission statement, establishing the official name, Articles of Incorporation, a collection policy, and a non-profit 501(c)(3) designation. All of this was completed by the first fund-raising event for the museum in November 2000, given by the Contemporary Club of Redlands. The University of Redlands School of Music Children’s Choir gave another fund-raiser; both events were sold out. Publicity for the museum project also resulted from the Fourth of July Committee selecting the museum as the subject for their 2001 T-shirt. The RHMA has more than 600 Founding/Charter members. Since there were no actual museum facilities in the early days, the association used small spaces for special exhibits. The first one-year exhibit was on display in the lower level of Smiley Library. A Redlands Quilts Show in Old City Hall was also presented in May 2002 featuring 70 quilts related directly to Redlands, and in 2008 Phillip Livoni curated a three-day textile display in the Watchorn Lincoln Memorial Shrine featuring Redlands garments and quilts. RHMA also presents two lecture programs a year, usually featuring items or subjects accumulated through nearly 100 years of Smiley Library's history collection (click on Programs). In 2002, the Association contracted with Milford Wayne Donaldson, (an historic preservation architect from San Diego and President Barack Obama's chairman of the national historical preservation board) to address issues of handicap access, ADA bathrooms, an elevator, and spatial designations for adaptive reuse of Old City Hall as a museum. The Redlands Cultural Arts Commission provided the funds for this study. The initial study was completed, and the city staff tentatively approved the plans. RHMA then sat back and waited for the Redlands Police department to vacate Old City Hall. We continued to urge the saving and donation of historic items for the collection. At first, items were stored in the basement of A.K. Smiley Public Library. Then space became critical, and the City of Redlands provided a small, vacant three-bedroom house with a security system in which the RHMA installed three rooms-full of steel shelving. RHMA also rents a garage-size business storage unit for our Linotype machine and other large items. A supportive business has housed our 1927 International citrus grove truck for years. The truck is driven in three Redlands parades (Fourth of July, Veterans' Day and Christmas) to give exposure to our need for a museum to display historic items. 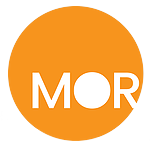 In the summer of 2011 the possibility arose of obtaining the Mutual Orange Distributors (MOD) packinghouse on Third Street as the museum. Former RHMA board member Clara Mae Clem offered $280,000 to overbid George Krikorian's offer to buy the MOD. 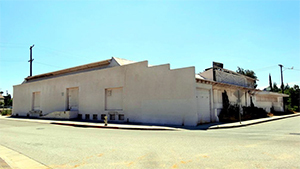 Although five Redlands history/preservation groups crowded three Redlands City Council meetings in 2011 to urge saving the historic packinghouse, the vote went in favor of Mr. Krikorian, who owned all the surrounding property including the historic Santa Fe Station. He had expressed his intent to tear down the packinghouse and build more room for a Sprouts gourmet market. Seeing our disappointment at not obtaining a museum facility, the City Council offered the RHMA a tour of Safety Hall on Brookside and Eureka streets. The building is empty except for one computer room. 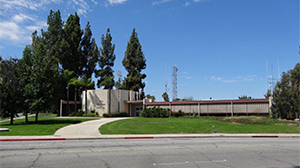 The Redlands Police Department had left those offices when they were deemed unsafe for their recordkeeping (leaks in the roof), and an inadequate building seismically for a control center and jail during any major earthquake. The building is considered safe for the mobile public, but not for a stay-in-place emergency command center for the city. The building has been re-roofed and asbestos removed and is available for general public use, but the RHMA board tour showed too many tiny office spaces and load-bearing walls for the building to be suitable for an open museum exhibition space. The beginning of 2012, the City Council hired Cosment and Associates to select a site for a new Safety Hall, with plans to downsize the original plans for a $42 million police and fire departments headquarters, with a potential bond issue planned. During the five-year economic recession, those bond issue plans were put on hold, and the police remained in Old City Hall. In 2012, we learned that the Redlands Brookside Post Office was for sale. This post office was among several on the market for a week before Congress decided to put all sales on hold. 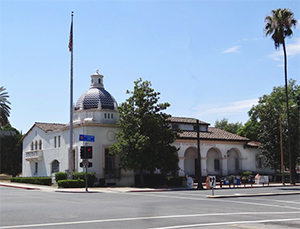 Working with our city staff, RHMA mounted a petition-signing effort resulting in many museum supporters helping us obtain more than 2,000 signatures urging sale of this art deco 1930s post office for our Redlands Historical Museum. An equal-pressure group gathered signatures to save the building for use as a convenient post office. When the issue stayed dormant in Congress for more than two years, RHMA turned attention once again to Safety Hall across the street on Brookside, hiring Ralph Pacini's architectural firm to survey the building's condition for a museum. 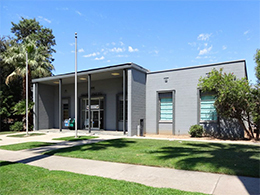 Just as that survey was completed, and RHMA was seeking a potential long-term lease agreement with the City of Redlands, we learned that the Redlands Daily Facts property was on the market. Founding RHMA Board member Clara Mae Clem had been working with the board leadership about the possibilities of the MOD building, and the post office (no signs of it being sold), and she immediately began the contact about the sale of 700 Brookside Avenue. Ascertaining that the RHMA Board, the Smiley Library Board of Trustees and the library staff were all in favor of the 700 Brookside property, Clem worked diligently from July 1, 2014, to October 14, 2014, alongside the Library Board president Bill Hardy to bring negotiations to closing of escrow. Her very generous cash donation to the Redlands Historical Museum Association made possible the acquiring of the property for the museum. Tim and Carol Rochford shortly thereafter purchased the vacant lot to the west at 706 Brookside Ave. and gifted it to RHMA.